for $875,000 with 5 bedrooms and 4 full baths. 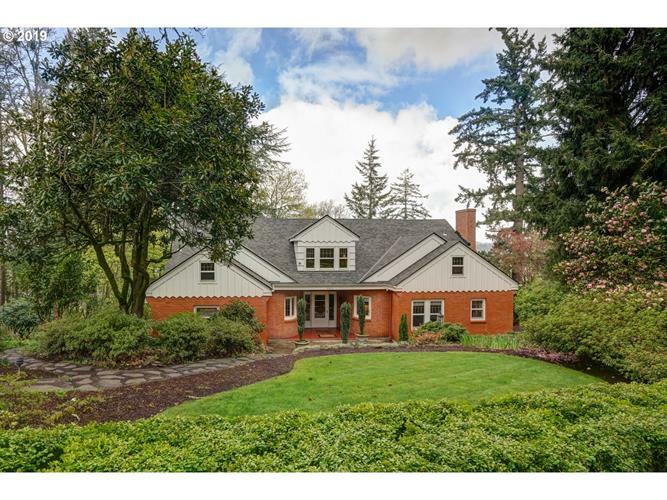 This 5,716 square foot home was built in 1938 on a lot size of 0.9100 Acre(s). Iconic vintage home in heart of Candalaria w/lovely west view of the coast range & valley. Just under 1 acre tucked away w/private drive. Beautifully landscaped, woodland garden featuring plants & trees blooming most of the year. Stately home has brick & cedar exterior, leaded glass windows & new roof. Impeccably maintained with period authentic remodeling. Main level MBR, guest suite & den, & 3 BRs upstairs. Daylight basement & more!